Manchester City have announced that centre-back Nicolas Otamendi has extended his contract until 2022. The 29-year-old is one of the most improved players under Pep Guardiola this season and has been a rock at the back, often in tough situations when John Stones and Vincent Kompany have been absent through injury. 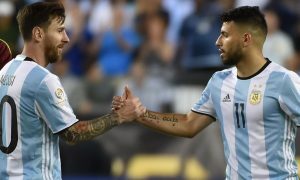 The Argentine international has been rewarded with a new deal that will keep him at the Etihad for another four years. ‘El General’, the City Watch Player of the Month for December, has made 118 appearances since his move from Valencia in 2015 and has added more goals to his arsenal this season, scoring 5 in all competitions, compared to just one in each of his other two campaigns in sky blue.